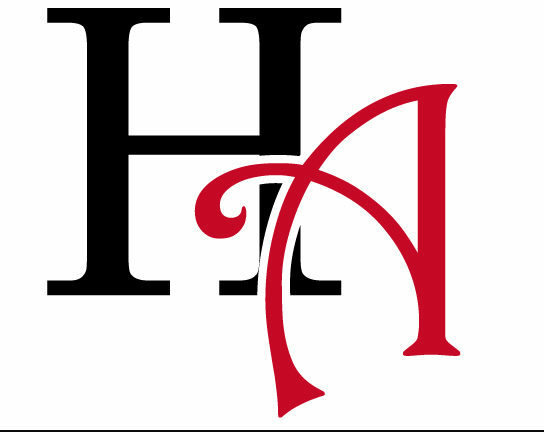 By HANNAH STEELE – On February 8, the annual “Soup-er Bowl”, a fundraiser where IHS staff members provide homemade soups served in pottery bowls made by art students, will be held in the senior high office conference room. 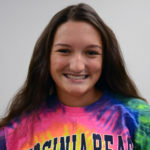 This event allows the Pottery classes to gain real-world experience by crafting a handmade soup bowl which can then be purchased by a staff member for a donation. 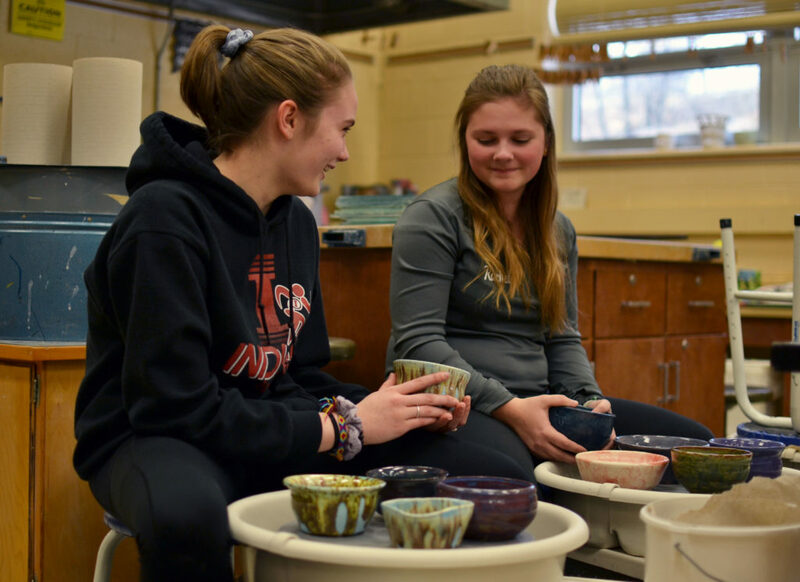 Not only will it raise money for the art students’ Washington D.C. field trip, but the additional bowls will be donated to benefit the Indiana County Community Action Program, a local food bank. An event like this takes a lot of time, dedication, and passion to be executed properly. With the help of two steadfast students, the process was expedited. 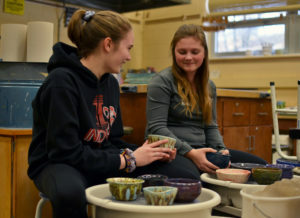 Juniors Rachel Bowersox and Sarah Detweiller spent countless hours after school throwing bowls on Bowersox’s pottery wheel, resulting in over 40 bowls. Their selfless help will benefit both fundraisers. The “Soup-er Bowl” provides a memorable experience for staff and art students alike while benefiting two good causes. Photo Caption: “Juniors Sarah Detweiller (left) and Rachel Bowersox (right) work hard to prepare the bowls for the Soup-er Bowl event.